Among the very best methods to promote your music is to have it play on the radio, whether you are a solo musician or you’re in a band. You can accomplish a national direct exposure even if it is a little radio station of a university. Sending your songs might look like an intimidating task, however, do not stress! Read this article to discover in detail how to promote your music to radio. Numerous artists use social networks as the main advertising tool, but this is not completely effective. Use your account to bring in and retain your current audience, in this way they will be those who share your content. This is the best method to acquire a natural growth of followers. Make sure you follow the “thirds” guideline: The first third of the publications ought to be interactions, the 2nd one ought to provide value to your followers and the last one ought to be advertising. 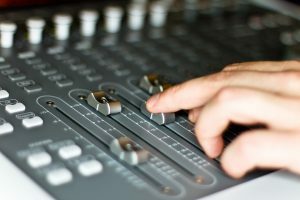 The main reason why radio matters is since it provides a connection between your music and an engaged audience. Radio is where music managers thrive and where a lot of people still discover brand-new music. When it comes to promoting your music on the radio, the genre will identify the stations which might be interested in playing your songs. The radio stations of local universities might be a great option for rap, hip-hop or rock. This is because they attract the more youthful audience. Additionally, public radio stations tend to focus on jazz, pop, and latino music. Commercial Radio or Corporately Owned is a station that usually promotes the newest hits that come up and comes up with Top 100 Best Songs, Albums, Artists etc. Very often you can hear the same songs on repeat for several times in one hour, and it is probably the type of radio you hear on your way to work! College and University Radio is obviously owned by universities and here is where talented musicians or DJ’s from these universities can show their talents. Usually, students play the latest hits which belong to the rock, pop or hip hop genre. If you are looking for a way to promote your music, here is where you can easily do it. Non-Commercial or Community Radio are those that do not play commercial music since this type of stations provide a variety of materials that are not necessarily supplied by the bigger industrial radio stations. Community radios tend to include their audience and they usually make some contests and polls. A promotional campaign on the radio could assist you to win a significant fan base. Although you may believe that you will need large amounts of money to promote your music, there are radios that accept new artist’s music for review and it’s for free! When you send your songs to the radio, bear in mind that you must send last recordings (not demonstrations) to the manufacturers of the programs. Do not forget to contact them and ask for feedback. This is really important! 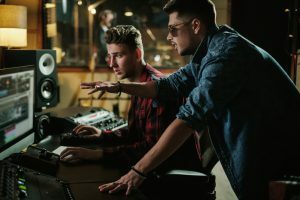 If they offer a positive response, and the producer liked your music, it’s time to demand that they include it in a playlist. However, if you get a negative response, do not be dissuaded. Ask them for another opportunity and provide them different music. College, Non-Commercial/Community, and Online radios are the best ways to try your luck. These sorts of radios have passionate managers who want to stay in touch with brand-new artists and display new work to their engaged and encouraging audience. The individuals you need to look for are a manager, music director, and program director. Before contacting them, you should spend some time paying attention to their program and figuring which of your songs would be the biggest hit. Approaching these leaders should be really easy nowadays since all the essential info could be available on their website. Not all of the stations will require just one song. Some of them would want to hear your whole album, because that’s what they do. Just in case to be prepared for their requirements, you should create one sheet digital press package (EPK) on your site for reference with your radio promotions. That information provides insights into your story so that you don’t need to say too much in your messaging. What is most important here is to ask for more information in the first message. Do not attach the whole album or mail them a CD unless told otherwise. Feedback is important in everything you do. So, when sending samples to a radio it is important to ask for opinions. Also, what truly benefits every artist is having as many contacts as possible. If a station does promote your work, make sure you post it on the social media and include all information about you, because you can get fans from day one and because not all of the people who are following the station will know how to find you! If you want your name to be heard, then you definitely should hire influencers who have a lot of followers. For an artist, it is important that their music is available online by the largest possible number of followers. Prepare an album and get in touch with these influencers. Don’t just send them one song! Include a brief message explaining your work in details and your expectations, and after a couple of days, ask for feedback. Radio promotions are an excellent way to become famous and to grow your audience. You never know how is listening and when your big opportunity might come. 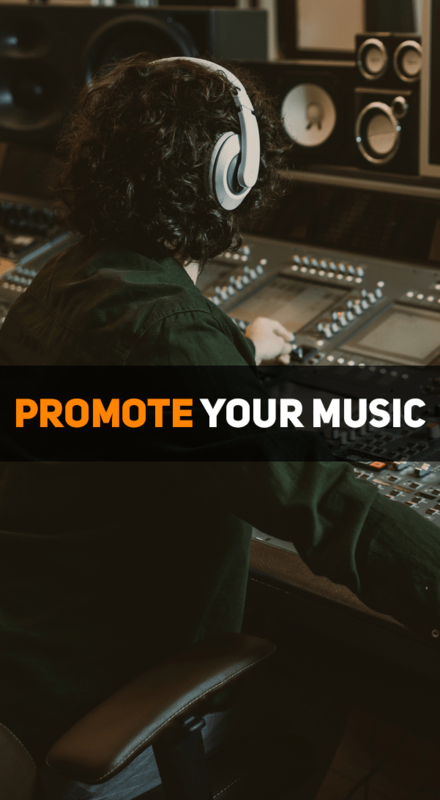 If you have the talent and if you follow our suggestions how to effectively promote your music to radio you will definitely become successful in no time! Join over 90,000 artists and subscribe to our weekly tips & tricks for promote your music! Failing as a Musician – How is it Possible? !